Two Northwestern alumni — and wine connoisseurs — put a cork on wine impurities and bottle up marketplace success. In 2015, James Kornacki had an idea—but no path for bringing it to market. Inspired by his aunt’s sensitivity to sulfites and an earnest interest in using organic chemistry in practical ways, Kornacki wanted to find a way to remove sulfites from wine. With an estimated three million Americans sensitive to sulfites—an added chemical preservative necessary for wine bottling and storage, but extraneous once the bottle is opened—a solution would surely have marketplace appeal. 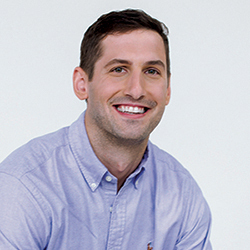 Kornacki began developing a filter that would restore wine to its natural, preservative-free state in tandem with his PhD work in the lab of Milan Mrksich, the Henry Wade Rogers Professor of Biomedical Engineering. He then brought the idea to a NUvention: Nanotechnology course, where interdisciplinary teams of students work collaboratively to bring nanoscience startups to market. “Neither of us could’ve predicted this. We’ve both really been living in the journey and are now beginning to embrace the longer perspective." That’s also where Mike Marasco, director of the Farley Center for Entrepreneurship and Innovation, introduced Kornacki to Joe Radosevich, who was pursuing a master’s degree in chemical and biological engineering. Radosevich was no ordinary graduate student. He had a law degree, was a practicing patent attorney, and fittingly, was also a devoted wine connoisseur. Over the past three years, in fact, the pair has transformed Kornacki’s inventive creation into Üllo, a successful and fast-growing enterprise whose flagship product is a porous, food-grade polymer filter that selectively removes sulfites from wine without affecting other compounds, restoring its natural purity. That journey started gaining speed after the NUvention: Nano class team took on Kornacki as its client and started helping him refine his product’s value proposition. Meanwhile, a marketing course, orchestrated by the Farley Center, assisted Kornacki in charting a crowdfunding plan. As he prepared to commercialize his product, Kornacki turned to Radosevich for help in bringing Üllo to market. 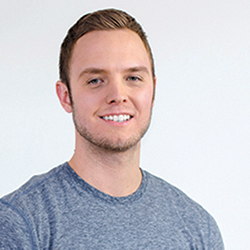 Though Radosevich had spent four years of advanced schooling dedicated to achieving a distinctly different goal, he jumped enthusiastically into the world of startups alongside Kornacki. 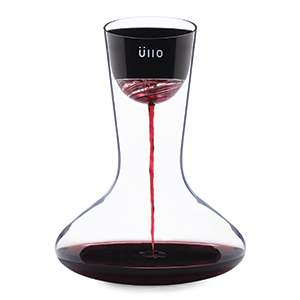 In August 2015, Üllo—which means “pure wine”—launched its online Kickstarter campaign. The company easily surpassed its initial $100,000 target by raising $157,404 from 1,423 backers. The following summer, Üllo shipped its first orders with an opening inventory of 25,000 units, an aggressive purchasing decision that could have sunk the company before it ever had an opportunity to gain marketplace traction. “We trusted that the demand was there and prepared ourselves to fill orders,” Kornacki says. Soon after, national retailers such as Crate & Barrel, Brookstone, Bloomingdale’s, Best Buy, Sur La Table, and Whole Foods began carrying Üllo products. In its first 18 months, Üllo sold more than 100,000 purifiers and more than one million filters. “It took a while to lay the necessary foundation, but there’s been incredible and rapid adoption since the product debuted,” Kornacki says. Last year, Üllo introduced two new products with its Florence decanter, inspired by the iconic Florence flask used by chemists, and the Ångström, a thoughtfully crafted wine glass named after one of the smallest scientific units of measurement. “A bit of chemistry humor,” Kornacki admits, adding that the umlaut in Üllo derives from a symbol alchemists use to describe purity. In addition to its flagship $80 wine purification product and red wine decanter, the Chicago-based company’s offerings also include custom wine glasses and a carafe for white wine. Having penetrated the domestic market, Üllo now looks to expand internationally. It recently began selling at high-end retailers in the United Kingdom and is on track to appear in stores in South Africa and Australia by year’s end.